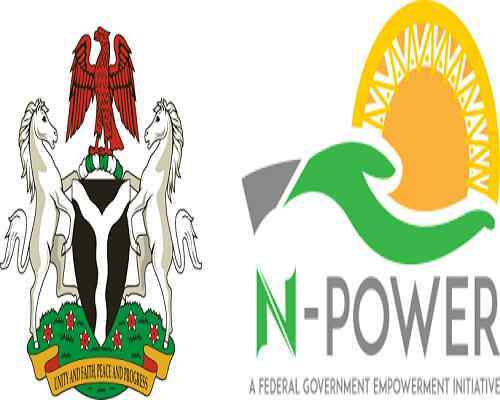 Beneficiaries of N-Power, a social investment programme of the Federal Government for job creation and empowerment, yesterday endorsed President Mohammadu Buhari for a second term in office. The endorsement took place during a sanitization programme organized for the beneficiaries of the project by the Lagos State Ministry of Wealth Creation and Employment held at Teslim Balogun Stadium in Surulere. A cross section of the beneficiaries thanked President Buhari for his support for youths, job creation and empowerment for young persons. In his remarks, Senior Special Assistant to the Vice President on Job Creation, Mr Afolabi Imoukhuede, said his presence at the event was to formerly accept the endorsement of President Buhari beneficiaries of N-Power programme. One of the beneficiaries, Ayinde Bolaji, said the programme had made tremendous impact on his life and given him immeasurable social exposure. He commended the federal government for taking cognizance of the need to promote youth development through job creation and empowerment. Said he: ” N-Power has taken me to many parts of the country and added value to my life. I joined the programme as a fresh graduate and it afforded me the opportunity of traveling by air. ”I am a beneficiary of N-Health arm of the project and I have also attended various courses on health development in some states of the country and the trainings have so far brightened my intellect or knowledge on health-related issues.